Budget session of Parliament will begin from February 23 and will continue till May 13,2016 subject to exigencies of Government Business with recess from March 17 till April 24, 2016 to enable the Department Related Standing Committees examine the Budget proposals of different ministries and departments. The details of Budget session schedule were informed by the Minister of Parliamentary Affairs Shri M.Venkaiah Naidu, after the Cabinet Committee on Parliamentary Affairs firmed up the schedule today. Shri Naidu further stated that the session opens with the Address of President Shri Pranab Mukherjee to the Members of both the Houses at a Joint Sitting in the Central Hall of Parliament on February 23, 2016. Presentation of Railway Budget will be on February 25, Economic Survey the next day and General Budget on February 29, 2016. 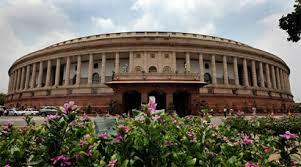 Budget session will have a total of 31 sittings spread over a total duration of 81 days. Budget session of Parliament this year will run full course with recess in between unlike in 2011 when the recess was done away with on account of Assembly elections in five states that are going to polls this year also. These states are ; Kerala, Tamil Nadu, Puducherry, West Bengal and Assam. Ministers Shri Rajnath Singh, Shri Arun Jaitely, Shri Venkaiah Naidu, Dr.Najma Heptuallah, Shri Ramvilas Paswan, Smt.Smriti Zubin Irani and Shri Mukhtar Abbas Naqvi attended the CCPA meeting. Before the CCPA meeting Shri M.Venkaiah Naidu, Home Minister Shri Rajnath Singh and Shri Mukhtar Abbas Naqvi, Minister of State for Parliamentary Affairs consulted leaders of different parties seeking their views on scheduling of the Budget session keeping in view the Assembly Polls in five states. In his opening remarks, Shri Venkaiah Naidu said that the Government favoured a normal and full length session with sufficient recess in between to enable the work of Standing Committees. Shri Naidu said that the dates could be adjusted based on the suggestions of different parties. CCPA later firmed up the session schedule keeping in view the requirement of Speaker of Lok Sabha and Deputy Chairman of Rajya Sabha to attend the Commonwealth Parliamentary Conference, suggestions form the leaders of various parties and holidays in the month of April,2016. Shri Ghulam Nabi Azad, Shri Anand Sharma and Shri Deepender Hooda from the Congress Party, Shri Ramgopal Yadav (SP), Shri Sharad Yadav and Shri K.C.Tyagi (JDU), Shri Bhartrihari Mahtab (BJD), Shri Ambeth Rajan (BSP), Shri Derek O’Brien (TMC) and Dr.Venugopal (AIADMK) participated in the consultations with the Government. Ratification of Ordinance relating to President’s Rule in Arunachal Pradesh and passing of a Bill in respect of Ordinance regarding Enemy Properties will be taken up on priority during the session.